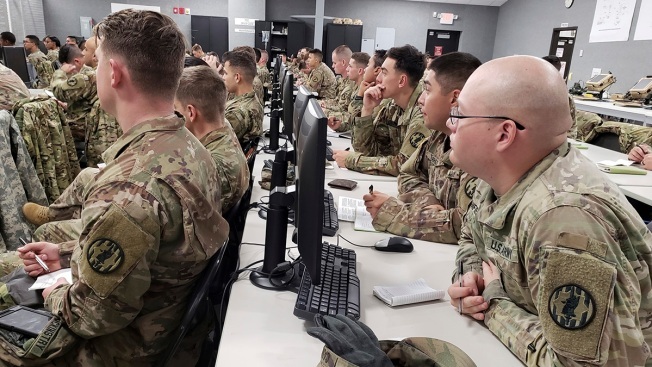 This Oct. 29, 2018 photo provided by the U.S. Air Force shows soldiers from Task Force Griffin receive a legal briefing as they prepare to deploy to support and enable Customs and Border Protection and other supporting interagency partners to secure the Southwest Border. The Trump administration on Monday, Oct. 29, 2018, announced plans to deploy 5,200 active duty troops, double the 2,000 who are in Syria fighting the Islamic State group, to the border to help stave off the caravans. 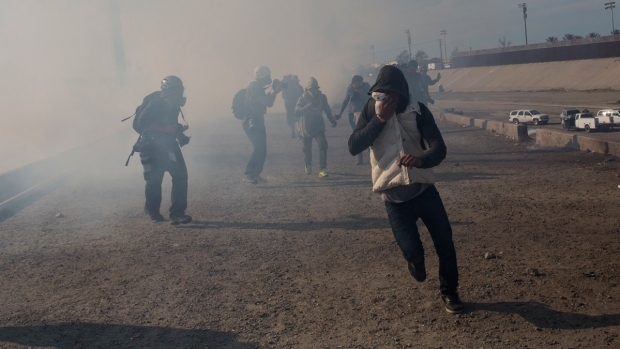 The main caravan, still in southern Mexico, was continuing to melt away, from the original 7,000 to about 4,000, as a smaller group apparently hoped to join it. His comment was the latest twist in a story that has pushed the Pentagon unhappily into the political space, prompting questions about whether Defense Secretary Jim Mattis was allowing the military to be leveraged as a political stunt. Trump rejected the idea he was "fearmongering" or using the issue for political purposes, but his escalating rhetoric in the waning days of the campaign season calls that denial into question. Trump has railed against illegal immigration, including several caravans of migrants from Central America slowly moving toward the U.S. border. The caravan of an estimated 4,000 people is still nearly 1,000 miles (1,600 kilometers) from the border. However, the text of the amendment's opening Citizenship Cause is this: "All persons born or naturalized in the United States and subject to the jurisdiction thereof, are citizens of the United States and of the State wherein they reside." The citizenship proposal would inevitably spark a long-shot legal battle over whether the president can alter the long-accepted understanding that the 14th Amendment grants citizenship to any child born on U.S. soil, regardless of his parents' immigration status.